Sequencing.com is the world’s largest DNA app store. The company employs Universal Genetic Data Compatibility technology to allow any app to process genetic data from any DNA test and any company, including 23andMe, Ancestry, MyHeritage, Family Tree DNA, and many others. In other words, it transforms DNA data into actionable information. 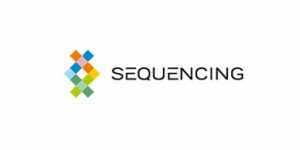 Sequencing.com was launched in 2014 by Brandon Colby, M.D., MBA, who dedicated his entire career to personal genomics and anti-aging medicine. Colby was born with a rare genetic disease called epidermolysis bullosa simplex (EB), which sparked his interest in genetics early on and led to his lifelong commitment to advancing medicine through DNA. If you want to learn more about Dr. Colby’s company and its services, read our in-depth Sequencing.com review and learn how to turn your DNA test results into valuable resources. Sequencing.com has a very complicated website (unnecessarily so, if we may add), which makes it rather difficult to understand what the company actually does. Having said that, we will try to simplify its services as much as possible, so that even laymen can understand how Sequencing.com works. To put it simply, Sequencing.com takes your DNA testing results and translates them into concrete facts regarding your genetics. It gives you access to numerous apps that use your DNA data as input and calculate various important factors. There are apps that can tell you more about your genetic weight loss capabilities, nutritional requirements, longevity, wellness, personality, exercise injury risks, and much more based solely on your DNA. 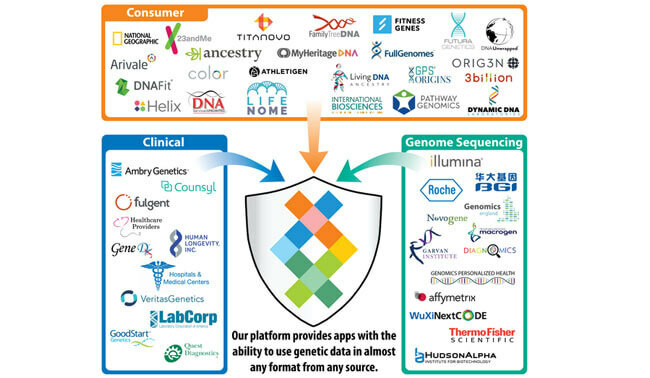 If you don’t have your DNA data already, Sequencing.com features a wide network of partners that offer all sorts of DNA testing options. Registration – Creating your personal Sequencing.com account is free of charge. All you need to do is provide your email address and come up with a password. Once you create your account, you will receive a confirmation email featuring a link that will allow you to access it for the first time. The confirmation email will be sent from notification@sequencing.com. Note that it might end up in your Spam folder. Logging in – You can log in to your account from any web browser on pretty much any device with Internet access. This includes desktops, mobile devices, and tablets. One of the most common login errors is caused by leaving extra spaces before or after the text when typing in your email or password, so make sure to include only the requested information in the boxes without any empty spaces. 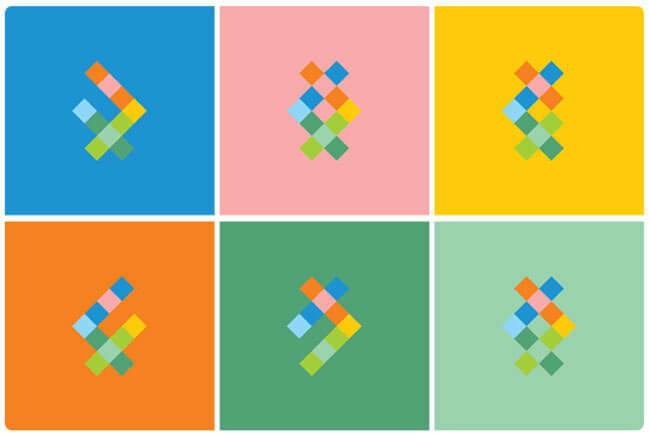 Indicating who you are – Your Sequencing.com experience will be customized to suit your personal needs and preferences. In order to accomplish this, the company offers a certain number of descriptions that help the program provide you with information tailored to your specific profile. The list includes researcher, bioinformatics expert, software/app developer, individual or family, health care professional, enterprise or laboratory, student, and teacher. Note that you can choose more than one. Apps – At this point, you can start browsing the App Store and familiarizing yourself with the available functionalities. Once you find an app you’re interested in, you can simply add it to your account and start using it. Uploading your genetic data – As we already mentioned in our Sequencing.com review, your chosen app will need your DNA data to use as input. You can upload your data in 4 different ways: using the Upload Center (for files up to 100 MB); using Big Yotta – Secure File Upload, which is ideal for uploading entire genome sequences; directly from a cloud provider like Dropbox, Google Drive, Google Cloud, Amazing Web Services (AWS), and others. ; importing your data directly from the laboratory using the Upload Center. Toolbox Genomics – Toolbox offers comprehensive at-home genetic testing performed in CLIA-certified facilities. The available testing options include Empower (Health Enrichment) – 157.00$; Thrive (Weight Management) – 157.00$; Nourish (Nutrition Optimization) – 157.00$; RunDNA (Endurance Performance) – 157.00$. Silverberry Genomix – Silverberry is also an at-home DNA testing company that allows you to collect your DNA sample in the privacy of your home and mail it back to the lab for further processing. Its test costs 89.00$ and also includes Wellness and 27 Vitamin Reports. You can add an additional Premium DNA Wellness Report of your choice. Dante Labs – The company offers 6 different at-home testing solutions, including whole genome and whole exome sequencing. The prices range from 129€ to 600€. Genomics Personalized Health (GPH) – GPH offers whole genome testing done in a CLIA-certified laboratory located in the US. Note that this is a physician-ordered test. Athletic Training Pro by Silverberry Genomix (159.00$ / file) – This app provides you with genetically tailored guidance for optimizing your athletic potential. Lean and Fit by Silverberry Genomix (149.00$ / file) – Lean and Fit is an app designed to help you optimize your physique according to your genetics. It lowers the required time investment and maximizes your results. Healthcare Pro by App MD (75.00$ / file) – This app is able to analyze human DNA data from any technology or laboratory. It is designed to help any practicing healthcare professional. Ancestry & Genealogy by Eone-Diagnomics Genome Center (9.99$ / use) – This app will help you discover your heritage and the story of your ancestors. It has recently received a huge upgrade with significant performance enhancements. Vitamin Balance by Silverberry Genomix (9.99$ / file) – This app lets you discover your vitamin balance based on your DNA. The results cover 17 trait reports, assorted risk assessments, and professional recommendations. LifeNome Total Wellness by LifeNome Inc. (199.00$ / file) – With this app, you can explore your DNA-influenced personality profiles with 140 trait reports, assorted risk assessments, and professional recommendations. Weight Loss by Silverberry Genomix (149.00 / file) – This app will reveal your genetic ability to lose weight quickly and provide you with personalized insights regarding aerobic performance, exercise aversion, carb overconsumption, joint injury risk, exercise benefits for lowering cholesterol, and many more. This is just the tip of the iceberg. Sequencing.com offers many more useful apps designed to tell you everything about yourself through your genetic data. The official website features in-depth descriptions for each and every app, so we definitely recommend familiarizing yourself with their full potential. 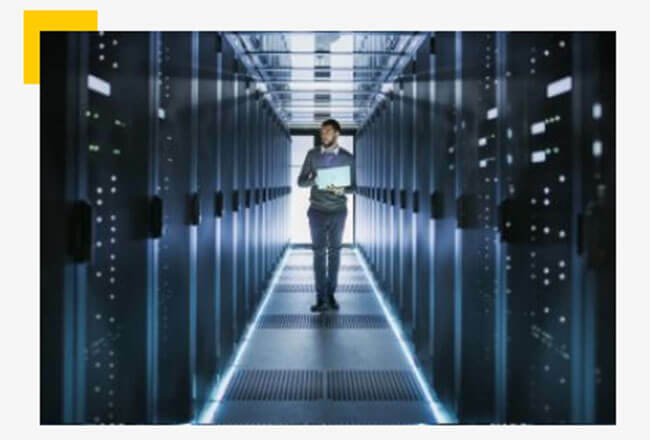 Sequencing.com adheres to the Privacy Shield Agreement regarding the transfer of personal information from the EU and Switzerland to the US. It also complies with HIPAA and GINA rules and regulations. From this, we can hint that the company is headquartered in Switzerland, although its location is not explicitly stated anywhere on the website or social media profiles. However, the company does log a lot of information, including your IP address, ISP, browser type, operating system, referring/exit pages, date/time stamps, and the list of pages you visited. No company actually “needs” this type of information, no matter what they say, so this extensive logging policy may be a dealbreaker for some people. Sequencing.com does not sell DNA tests, so there is no shipping involved in the purchasing of its services. On the other hand, if you order any of the aforementioned DNA tests from its partners, you can check their respective shipping rates and geographic coverage on the official websites. Sequencing.com is a very innovative and, dare we say, revolutionary company that combines modern information technologies with genetic testing. It allows its customers to test their DNA or expand upon their original test results. In other words, if you already performed an ancestry DNA test, for example, you don’t have to do any additional testing if you want to learn more about, let’s say, your genetic health or ability to lose weight. You can simply add dedicated apps to your personal account, upload your genetic data, and receive your results in just a couple of seconds. In that regard, Sequencing.com redefines the meaning of convenience when it comes to DNA testing. Our ratings are the result of an objective and independent evaluation of Sequencing.com , generating the final rating that reflects the overall quality of the company. Ratings may change as the service changes. Sequencing.com user rating based on 3 user reviews. I have my family's ancestry gene data and 23andme gene data all stored at sequencing.com and am very happy. They have so many apps to choose from. I've used five of their apps (Wellness Longevity app, Empower app, Ancestry & Genealogy app, Vitamin Balance app and Genetic Counseling app) and have learned a tremendous amount about my family's health. My doctor also found the information very helpful. The apps are quite expensive but they saved me a ton of time I would spend ordering home tests, sending my samples back and waiting for results. The reports are more than exhaustive and they're 60+ pages each. Great service and an awesome experience! I couldn't believe how many apps were there once I started browsing the app store. I was able to get my ancestry, health, wellness, and fitness report in just a couple of seconds and couldn't be more satisfied with the reports I got. We found 0 verified Sequencing.com discounts for April, 2019. There are no Sequencing.com coupons or discounts right now.